The changing software industry has led to the rapid growth and diversification of domains in the digital arena which includes various forms of outlook such as online shopping or ticket booking or data collecting and analysis etc. To this list there is a recent addition of hacking and though many people consider it as a threat to the digital space but a form hacking known as digital hacking is essentially an important source to keep the digital spectrum safe and virus free and it is also used by many public authorities like police and intelligence bureaus to combat cyber crime. Thus ethical hacking is one of the major solution for various digital problems and the software kali Linux is one the softwares which effectively helps in efficient and fast modes of ethical hacking. Armitage– which a graphical cyber attack and prevention management tool. Nmap- This is a port scanner and it is utilized to detect the presence of bugs and viruses. Wireshark– It is a packet analyzer which basically detects and clogs data traffic flow. John The Ripper Password Cracker– As the name suggests, it basically hits the firewall and eventually cracks the password of any program. Aircrack – NG– It is a software program which again tests the lines of wireless LANs. OWASP ZAP– This is basically a web application which is used for security scanning purposes. The major important feature is that this software has a dedicated project added and set aside for compatibility and porting to various but specific Android devices. It is also pertinent to note that it is also the first Open Source Android Penetration Testing Platform for many Nexus Devices. Backtrack which has a forensic mode. It requires a minimum of 10GB hard disk space for installation. It also requires a minimum of 512MB RAM for i386 and AMD64 architectures. It also requires a bootable CD Drive or a bootable USB. But that is also the major advantage of this software as it is easily portable and thus generally referred to as Kali Linux bootable USB. This software is based on the operating system of UNIX family and it is thus a part of one of the most efficient and compatible software which is known for its multitasking and multiuser catering needs. UNIX also has a strong hierarchical file system and also uses plain text for storing data. Thus this software has a modular design and an unified file system as the main means of communication. This makes it portable and efficient for cheaper digital penetration purposes. 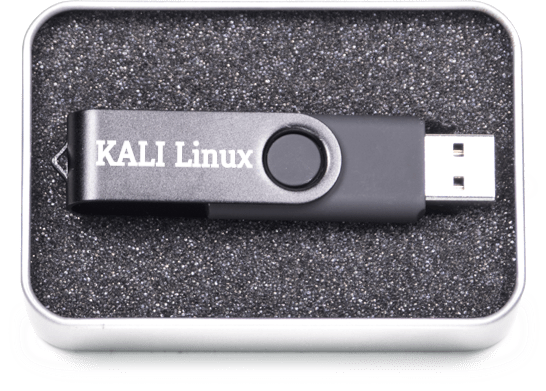 Where to install kali Linux in USB? It is totally portable and thus less hassles. There is no need to create separate partition in the hard drive. Booting errors and missing drivers may arise if directly installed in the virtual machines. Data can be saved in persistence mode which is only present in the USB option. Thus it gives a boost to easier ways of ethical hacking by means of phishing, data tabbing and other easier modes which can essentially be used and implemented by digital users to provide better settings to their digital presence and thus provide safeguards against various kinds of online threats like cyber bullying or online stalking and also gives a secure digital and social media presence especially to young users and also to beginner coders to enhance their talents and learn more. How to install Kali Linux? Download the Win disk manager tool from this link here. Before that plug in the USB to your device and make sure that it is well connected. Install this Win Disk manager and then in the folder option, go and choose the USB option in the external devices part. Then click on the folder icon and search for kali ISO image and make sure that the format is *. * otherwise no image can be seen. Now click on the Write button. A pop up window will appear and you must accept the warning. After this a process completion message will come, wait till then. Then eject the USB device carefully and run it in the device you want. This is the easiest and the most efficient method to be used which saves a lot of effort and time. Download the Rufus tool from this link here. Install this Rufus tool and then in the folder option go and choose the USB option in the external devices part. Now set the partition scheme as the GPT partition scheme for UEFI. Also note the file system as FAT32. Now choose the cluster size to 16Kb. Now wait till the completion of the process after clicking on the Start button. After the process is completed, you can see the Ready button. You can then start using the kali Linux file. This is only for advanced level users as it requires the understanding of various commands and formats before executing the function. First step is to check that the USB is virus free and safe to use. Insert the USB in your device that is PC/ laptop. Now you have to press Win+R and type “cmd”, and then press Enter. In this command prompt menu opens and here write Diskpart. Now first provide the admin access in order to run Diskpart. In this type, list disk which gives you option for all the disks in the device and now you can choose in which disk would you want to run the kali Linux. Now if you USB is disk A, the choose it and press select. Now you have to create partition primary. Now type select partition A as you have chosen disk A. Now we need to format this partition and so we have to write a simple code like format fs=fat32 quick. Once this formatting is done, type active and the you have to assign. Now copy this Kali ISO to the USB and now you can extract it using WinRAR or 7Zip. This is the perfect and easiest method to install kali Linux and thus is is the most efficient means as there is no need to download any software or unnecessarily increase the memory space. Plug in the USB in the device that is PC or Laptop in which you want to install and use kali Linux software. Turn off the device and turn it on again in order to open boot device selection menu. In order to enter this menu, you have to press F11 or F12 key from the keyboard. Now in this select the mode as USB and the press Enter. Now wait until the device is successfully booted. Then start the device and use the kali Linux software. Make sure that you remember the default username of kali Linux as root and its password as toor. Thus these are the simplest and most frugal methods to download and install kali Linux in USB and use it accordingly. This software is essentially cheaper and it is very advantageous for the beginners to download it and start using it for getting a quick grasp on means and procedure of ethical hacking. The USB mode is the easiest mode provided that the devices used must be compatible with the USB and the device in itself has more than 10 GB RAM.